It’s time for a new sketch at Freshly Made Sketches! Our sketch has been designed by the uber talented Linda Callhan. Her sketches are fabulous and her cards are even more so! Looking through my stash of cards, I realised I don’t have many baby cards. 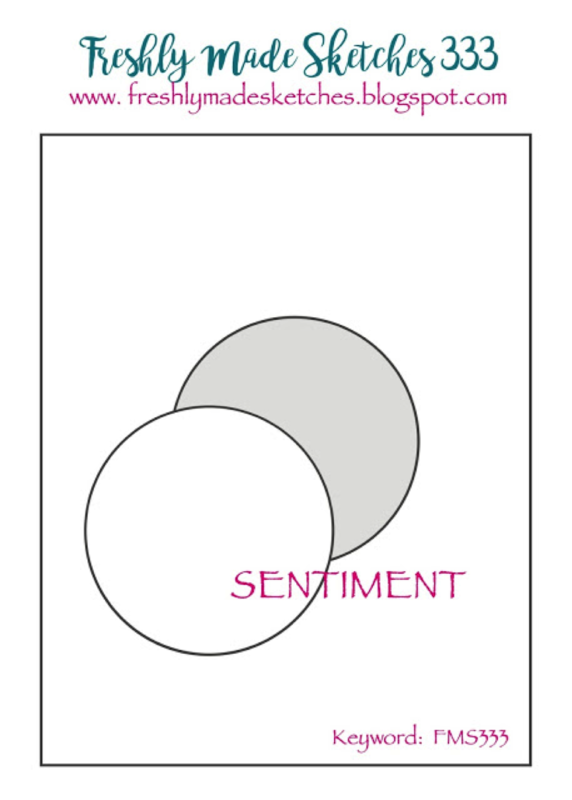 I decided to ink up Stampin’ Up!s Little One for my card today. 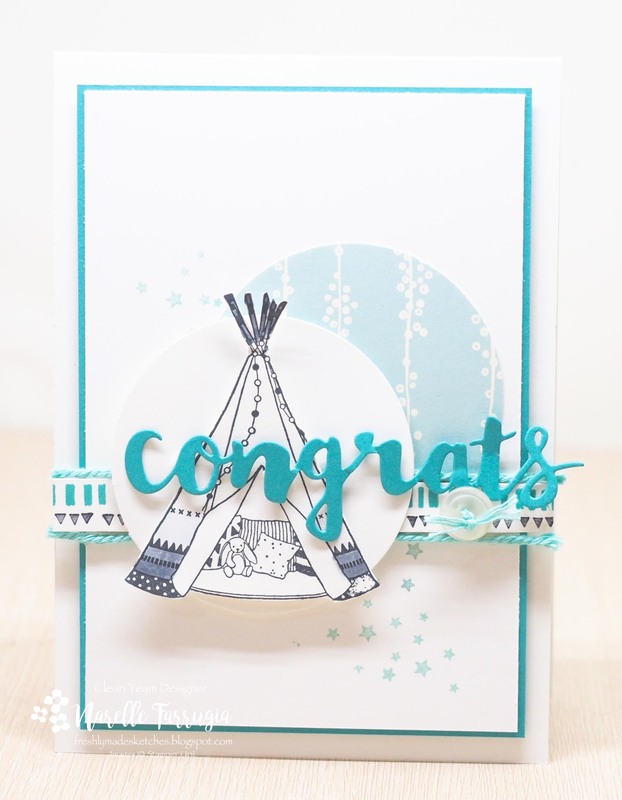 How cute is this sweet little teepee? I lightly watercoloured the teepee with Smoky Slate Ink and fussy cut it as well as the little bunny and cushion – they also received a light watercolour with Soft Sky and Crumb Cake Ink. Once I stuck these images to my card I felt the top was a little bare so to finish off the scene I cut some clouds with my Up & Away Thinlits Dies. The designer series paper I’ve used is from Naturally Eclectic Designer Series Paper. 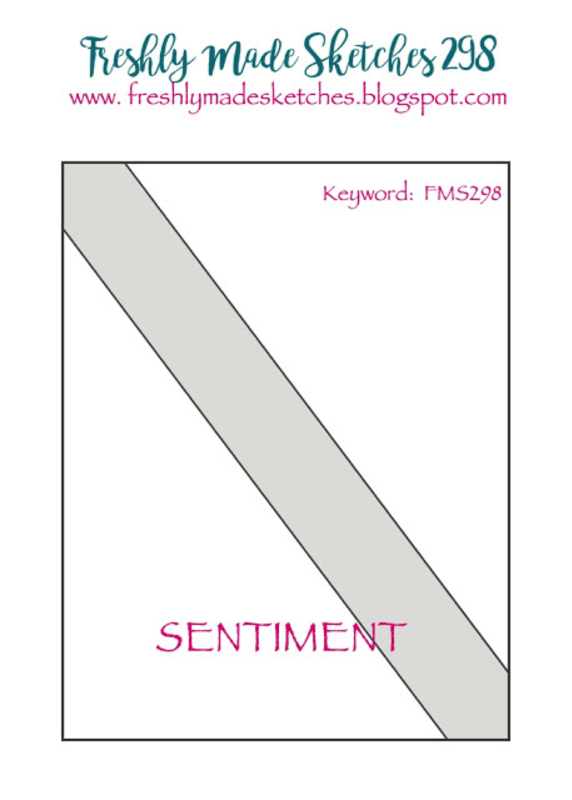 Soft Sky and the pattern in this paper are perfect for baby cards. I’ve teamed the DSP with Whisper White and Basic Black cardstock. As always the team have nailed the sketch. 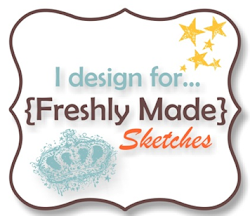 Head over to Freshly Made Sketches and take a look at the wonderful inspiration the team has provided.